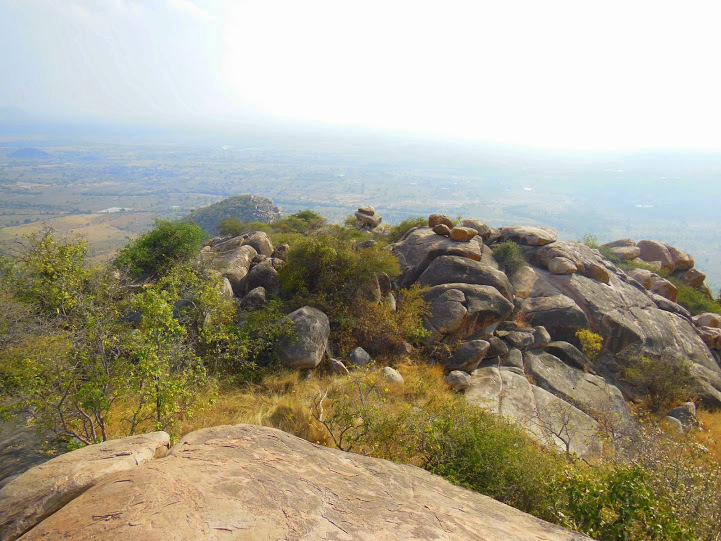 It was a full day hiking trip to Ghattuppal hills which is around 90 kms from Hyderabad. 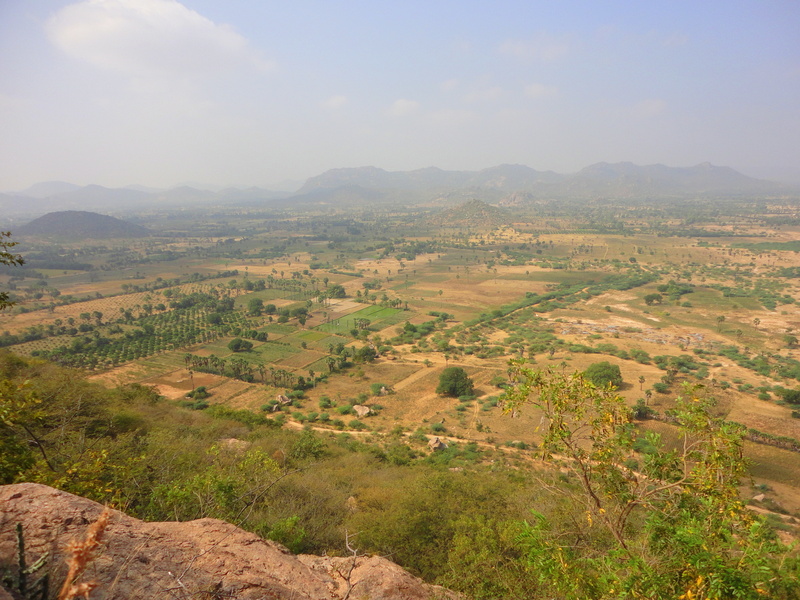 We started early in the morning from Hyderabad, passed through lot of small villages off the main road till we found our perfect hill to climb. Started the climb which was quite exhaustive. There were some boulders on the way to try out some climbing, lot of hiking through the trees and bushes. 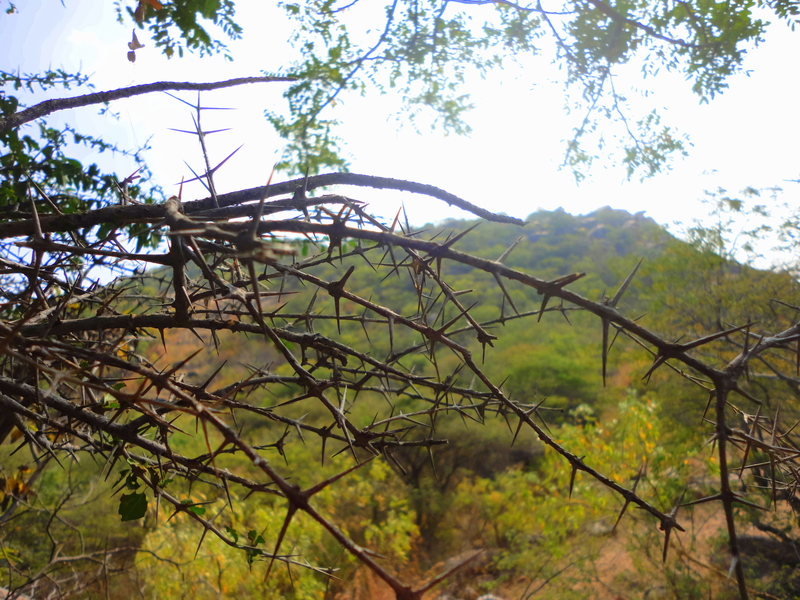 Again we found our dearest friend the deadly thorns. Scratches, sweating, slipping, climbing we managed to reach the top. Breaked for lunch in the forest under some nice trees and even climbed one :P.
After re-energising ourself, we hit the rocks peak. Some amused baboons followed us..man they were really big… Glad we provided some amusement to them as we were passing deeper into the hills, more of their friends came to watch us 🙂 . Once we reached the peak took in the view for a few minutes and started the descend. Had to pass through some thick thorny trees…more scratches…but the descend was much more fun as we were trying out new paths. Found some villagers grazing their goats in the forest, who as always, were confused on why we climb such hills..he he… Finally before the sunset ,we reached the bottom. 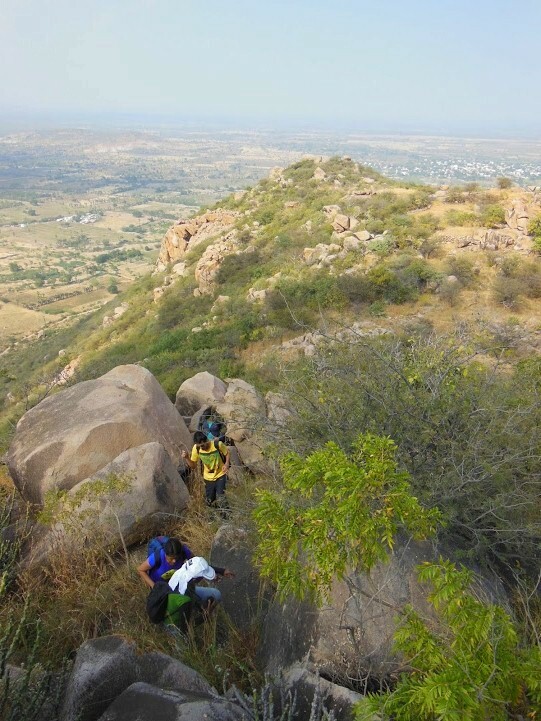 It was an exhaustive, great trek with a fun group. 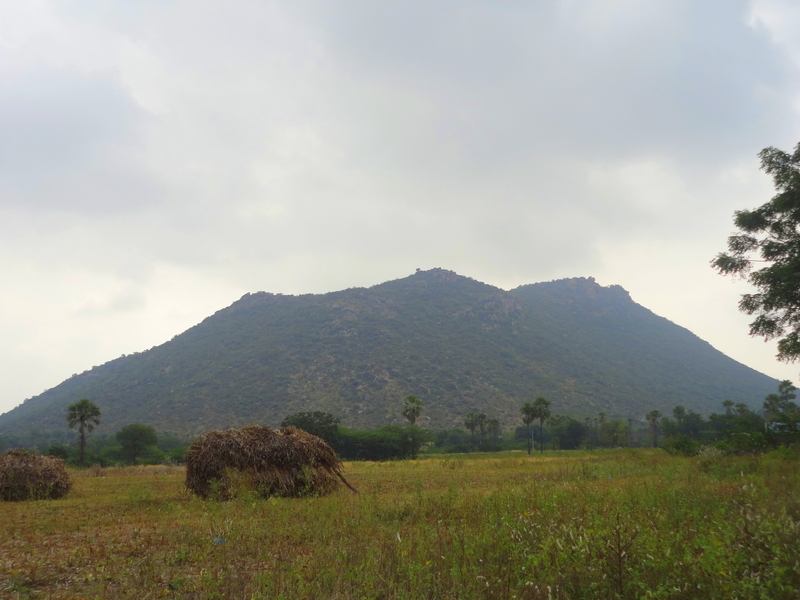 And thats the story of Ghattuppal Hills…..